South Africa for a long time has been in the global limelight for several reasons and in particular because the country is one of the leading economies in Africa. It is a country in a continent which is rising in global influence as it undergoes rapid developments across almost all fronts. The struggle for equality amongst the South African public has been a case study in leadership, vision and conviction to follow through a deeply held belief. Nelson Mandela’s crusade against the Apartheid policy of the erstwhile South African partisan government has become a legend in itself. So much so, that Nelson Mandela has been used ever since as a synonym for South Africa and for Africa in general. Such has been the power of this extraordinary individual who has left an incredible and very powerful legacy behind when he died in 2013 – an iconic legacy and presidency which will last forever and probably be symbolic in many ways for Africa, its complicated history and its journey ahead. It would not be an exaggeration to say that the Nelson Mandela brand is probably the most powerful brand ambassador of South Africa. It is indeed a rarity in the current global scenario for a country to have such a powerful brand ambassador. At the same time, it should also be a matter of concern for South Africans because the country has not been successful in creating multiple brands with such an appeal, equity and recognition beyond Nelson Mandela himself. The probability for success of branding is related (directly or indirectly) to the level of economic growth of a country. The stage of a country’s economy has a great impact on the country’s business priorities and mindsets. A classic example is that of Asian countries. On one hand there are highly advanced countries such as Japan, South Korea, Singapore and Hong Kong. They have developed brands like Singapore Airlines, Sony, Toyota, Samsung, Hyundai and HSBC. On the other hand, there are developing countries such as Vietnam, Indonesia, Sri Lanka and the Philippines, and in between this spectrum lies booming economies of China, India, Thailand, and Malaysia. These countries have only created a handful of global brands despite their rapid rise in economic terms. 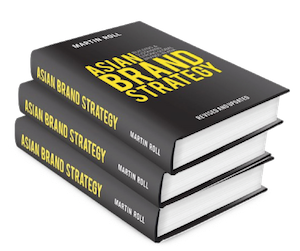 Think of brands like Huawei, Lenovo, Tata, Infosys and Jim Thompson – these are some solid brand examples from the rapidly rising and developing Asian countries. The level of economic development of these countries can be seen to have a strong perception and impact on the sophistication of branding practices in their companies. Internal turmoil: For long South Africa suffered from immense internal turmoil – economically, politically and socially. The public revolt against the unfair policy of the erstwhile government and the subsequent political changes that ensued, defined the South African character for the next couple of years. This was a volatile period of restoring social equality and peace, establishing a working government, and making a transition to being a serious, rapidly rising player in the global scene. However, the state of euphoria that ensued after the 1994 elections slowly died out as the economic gap widened among the rich and the poor. Developing economy: In spite of being one of the more developed countries relative to other African nations, South Africa is still a developing economy compared to global standards. The status of being a developing country brings with it a host of related issues. A considerable chunk of the population is still in the bottom of the pyramid. Even though employment levels have improved, disposable income has not increased to the level where the average consumer is comfortable splurging money on brands. This has a direct consequence on the consumption patterns of the South African public. Consuming brands that command a price premium is not a preferred choice when disposable income levels are not very high. As branding relies on the development and maturity of a society, it is not surprising that branding has not yet emerged as a topic of importance with South African businesses or others wanting to enter that market. Commodity market: When price becomes a dominant parameter for consumption, branding tends to take a back seat and markets shift towards a commodity mindset. The South African market offers a combination of consumer segments, but the dominant segment seems to be the one that favors commodities to brands. This underlying consumer psyche also has contributed to the lack of focus on branding by corporate companies and the government. In a commodity market like South Africa, companies produce products in large volumes without strong brand equity. The largest part of the financial value is captured by the manufacturers’ customers – the next player in the value chain – primarily driven by strong brand strategies and successfully planned and executed marketing programs. Country of origin effect: Most of the well-known brands in the world have a favorable country to validate and enhance their brand identity. The country of origin effect is very influential and important for building strong brand equity. Consider some of the global brands like BMW (Germany), Virgin (UK), L’Oreal (France), Apple (USA), Samsung (South Korea), SONY (Japan) and Singapore Airlines (Singapore). All these brands have a very strong and positive country brand image to back their own brand image. In many cases, the country image lends credibility to the brand image. One example is how the positive experience associated with Corona Beer provides credibility and extends to its home country, Mexico. In short, this is referred to the country of origin effect and has huge implications for brand success. It refers to the ability of the overall image of a country to lend credibility, respect and status to the products and services emerging from that country. South Africa, though well-known around the world for a variety of reasons, does not have a cohesive, defined character among global stakeholders which can describe the country in a few words. Further, “Made in South Africa” does not seem to convey any specific set of values that can rub off on the products and services emanating from the country, but not having any negative associations also means that the country has all the opportunities for creating a strong imagery. Pressing social concerns: Being a developing country, South Africa indeed has a lot of pressing social concerns such as health, education, poverty and other concerns that take away the focus from branding. Statistics show that, between 2008 and 2015, four out of five South Africans experienced poverty. Between 2011 and 2016, 3 million more South Africans joined the ranks of the 30.4 million living on less than USD 2.90 a day. In 2017, unemployment in South Africa reached a 14-year peak of 27.7%. Resource allocation at the national level naturally tends to flow towards solving these broader societal concerns rather than to establishing branding structures. This is another facet of how the level of sophistication of the economy can have an impact on branding. These issues offer a bird’s eye view of the business landscape of South Africa along with the challenges the country is facing. Each of these factors contributes to the lack of strong South African brands. Nonetheless, there are still many examples of developing countries with recognizable brands. The demands of the current global business world require that social development and economic progress has to go hand in hand. In spite of all the challenges that South Africa is facing, it has to develop a system which fosters conditions to create strong brands that resonates with the local and global consumer. Here are some overall guidelines for South African companies to build successful brands and create a winning brand culture by addressing some critical branding questions. Branding is a comprehensive process that leverages the underlying philosophy of a society or a company. The brand conveys a core set of unshakable values, a distinct personality and a defined value proposition to consumers. Brands do not imply expensive goods affordable only to the elite few. Rather, brands imply quality, reliability, value and a promise to consumers about the functional, emotional and philosophical attributes. As such, all economies – whether developing or developed with higher or lower disposable incomes – should build brands. Discussed below are some general steps that can provide a framework for creating resonating South African brands. Create the South African identity: The current brandscape is cluttered with many local, regional and global brands. For a country like South Africa which is attempting to establish a brand identity in such a scenario, it is important to leverage the unique heritage and values that make up the South African character. Nelson Mandela’s values of democracy and fair play can be a starting point. South Africa has an amazing history that affords it to build a strong identity and differentiate itself on the global stage. For this to happen, there are a few players who need contribute and work hand in hand. One, the South African government can ensure that there is a dedicated ministry institutionalized to internationalize domestic businesses and establish a national brand board to closely monitor ‘Made in South Africa’. Research shows a country’s reputation is stronger when it excels in multiple categories, so the government needs to strive to improve categories in which South Africa performs poorly. Industry branding must be a multidisciplinary effort. Two, businesses operating in South Africa need to define the national identity by thinking about how their brands can contribute to the overall national image. For example, the Singapore Girl has done as much for Singapore’s image as its political stability, infrastructure, workforce and extensive network of Free Trade Agreements. Through the Singapore Airlines experience, customers get an overall perception of a service-oriented, efficient, clean and caring country. Similarly, South African businesses can define aspects of their brand promise they would like to highlight and link back to its South African identity. This would greatly facilitate the acceptance of South African brands. Tap the bottom of the pyramid: As discussed earlier, branding does not imply expensive products for the elite few. Like China and India, South Africa and the rest of the countries in the African continent have a substantial number of consumers at the bottom of the pyramid. This segment mainly consists of customers who are gradually aspiring to integrate into the main stream. They are low on resources but high on aspirations and ambitions. This segment also shows the promise of being a very lucrative segment in the long run, but South African companies and brands must be willing to invest in them to capture a long-term benefit and upside. A majority of this segment, however, are not ready to pay high prices. Customers always look for a proper quality-price balance and the value aspect must be taken into consideration when providing planning for this segment. Customers in this segment seek products that offer considerably good quality at an affordable price, and they cannot afford more than that. This can be a starting point for South African companies. By creating customized products for this segment, companies can begin the branding process. This will have the dual advantage of profitability (volumes) and credibility (targeting the non-elite segment) for South African brands. A classic example of a company who has successfully managed to tap on the bottom of the pyramid is Unilever. Being aware that its rural consumers did not like to buy washing agents in large bottles due to the lack of affordability, it created shampoo sachets which was eventually a big hit. Assume leadership position: South Africa should shrug off the myopic vision of focusing on the domestic market and extend its reach to the whole of the African continent. Many of the African countries are on the path of economic growth. With a total population of more than 1.2 billion and more than 400 million urban consumers, the African continent is a fertile ground for South African brands to take the center stage and be the market pioneer. This would not only offer the South African brands an advantage over late entrants but would also offer them immense experience of building brand before they export those brands to much more mature and developed markets. It is therefore paramount for South Africa to assume leadership and build strong global brand positions – it will advance South Africa and Africa as a continent. Invest in cross-industry branding: To grow across the diverse South African country regions and across industries, South African brands need to find ways to learn from industries that are successful within the country and beyond. One industry that has been performing very well over the past decades is the telecoms industry. The largest of the South African telecoms players is Johannesburg-based MTN, which has 16,000 employees and 240 million customers in 23 countries. The company and their brand has performed very well and is an inspiration for many other businesses. The best way to learn from these successful companies is to collaborate in order to boost the sustainability and increase other emerging brands’ performance, and to share best practices in terms of doing business in the African region at large. Invest in innovation: Given the low growth rate of South Africa, it is critical for businesses and the government to invest in innovation to improve efficiency and productivity, thereby improving lives through better products and services. Innovation can be encouraged through introducing skilled immigration, facilitating trade, encouraging competition in info communications and technology, and more effective public support for innovation. For any business, innovation is critical to success. South African businesses need to incorporate this as part of their business models and strategy, in order to successfully build strong brands. Create a branding culture: The fundamental fact about branding is that it is not advertising, but a comprehensive organization-wide discipline led by the corporate management. As such, leaders both within companies and at the government level should take the lead in creating an environment that fosters brand building. The primary objective of companies and organizations is to build and sustain shareholder value and deliver competitive returns to shareholders. One of the most effective ways to achieve this is to build brands with strong brand equity. Brand equity is the reputational asset that any successful business builds in the minds of customers and other stakeholders. Strong brand equity is also one of the main reasons why the market capitalization of a company often exceeds its book value. Allocate financial resources appropriately to branding as a strategic topic. By implementing well-established brand management principles, South African companies can indeed build resonating brands that will deliver enhanced financial impact. It is understandable that the efforts to brand the country were not carried out effectively by both the government and businesses in the past. After the transition in government from apartheid rule and when Nelson Mandela became president, the country was branded as the “Rainbow Nation” – a term coined by Archbishop Desmond Tutu signifying the unity of diverse cultures and the coming together of many different nations in a country once defined by the strict division of white and black. South Africa presents an exciting case for building brands. The country is at the crossroads of economic development. Challenges and lack of proper structures is very natural. However, these should not impede the country’s innate ability to succeed in the branding arena, and to build and sustain global brands including a strong nation brand to support these efforts. Brands in the current world signify more than just products with recognizable logos. They have transcended the commodity trap and have seeped into people’s lives in many aspects. Brands have come to signify avenues through which people tend to express their personalities, attitudes, likes and dislikes, association to groups, communities and so on. As such, brands succeed if they offer customers opportunities to express themselves, and they should be leveraged to enable the same in the South African market. South Africa has a unique history and heritage, both of which are the scarcest of resources in the branding domain. They need to be leveraged to build a strong identity for the country from where companies can catapult their brands into the domestic and global markets. Finally, companies and the South African government would benefit greatly if it is realized that branding is no more an option but a prerequisite for success in the current competitive world.